I hope you all had a great weekend and got all of your Christmas shopping done. All of my presents are wrapped and waiting to be unwrapped on Christmas Day! Four more days to go! 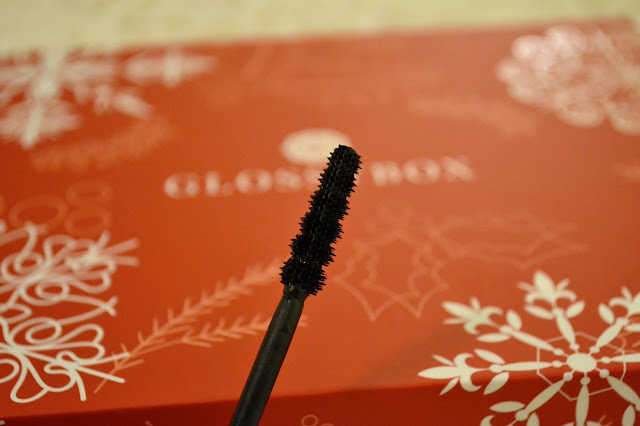 Today I am going to be sharing with you my December Glossybox. Look at how Christmas-y the box is! I was excited to try this next product but unfortunately mine was broken :( This is an eyeshadow created by Glossybox. It is a pretty mauve color. I wish I would have been able to try it out. I will attempt to put it back together with some alcohol and maybe that'll do the trick. 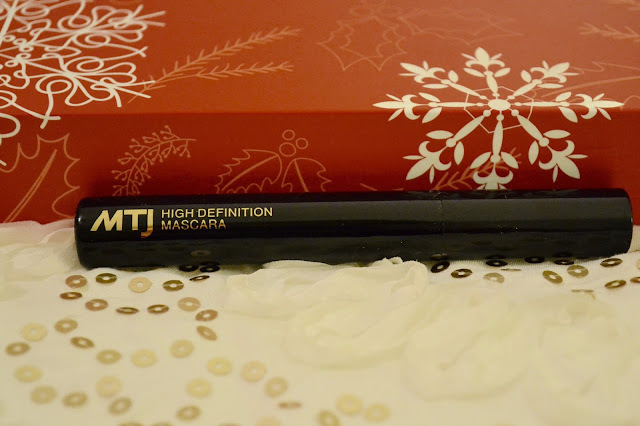 Next up is this High Definition Mascara from MTJ Cosmetics. I really like this mascara! Look at how cool the applicator tip is! 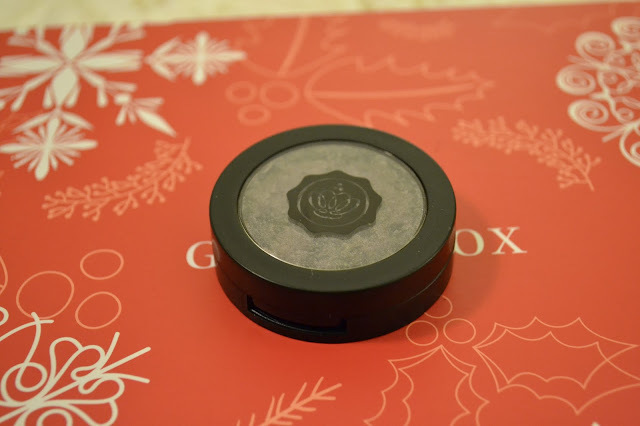 I love using it on my lower lashes. It is such a nice creamy formula and doesn't smudge as the day goes on. 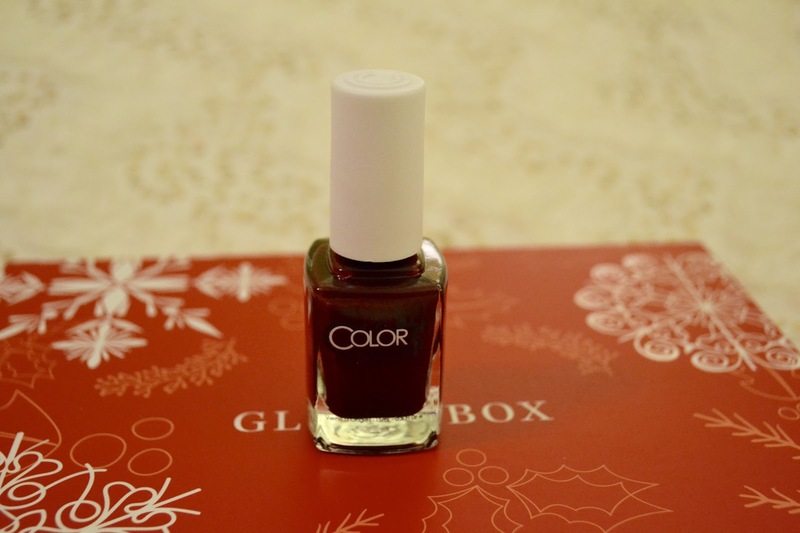 I always love getting nail polish in my monthly subscription boxes! They are usually the best and coolest colors. 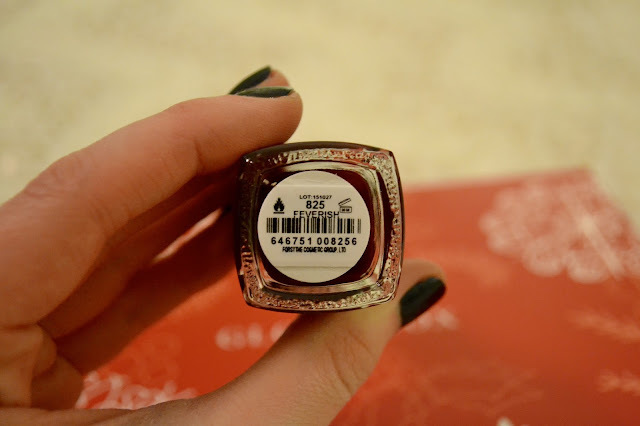 This polish by Color Club did not disappoint! It is a little hard to tell from the picture but the color is a beautiful blood red color. Perfect for the holidays. Right now the website is having a sale, Buy One, Get One Half Off! They have some really awesome colors and the names do not disappoint as well! 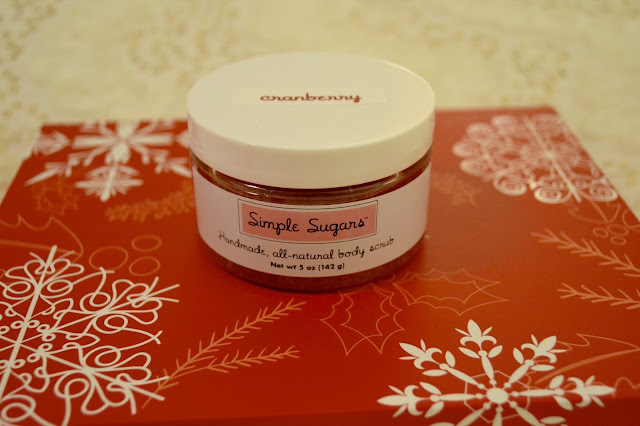 Last but not least is this all-natural body scrub from Simple Sugars. I got mine in the scent cranberry. It smells so yummy and works so well. Just give it a a good mix before you use it for mix all the natural oils back into the sugar and scrub away. I am a big fan of this product. 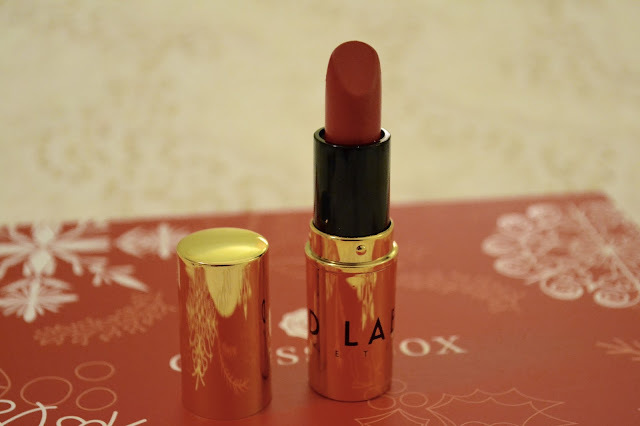 It is definitely the best thing I got in this month's box! They have so many other scents on their site, I can't wait to try some more out!